Memberships structured just for you! Call today and design the membership that’s right for you! Workout partners can help you stay committed to fitness and have fun. Members are encouraged to bring a Friend for FREE every Thursday! Have fun and get results! 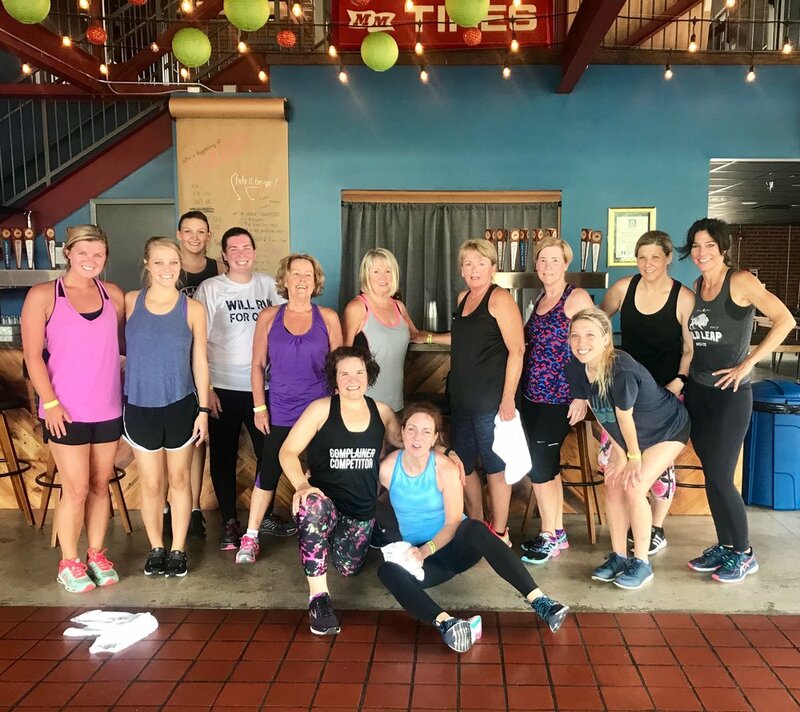 Did you participate in our Summer Sweat Series at Wild Leap Brew Company? 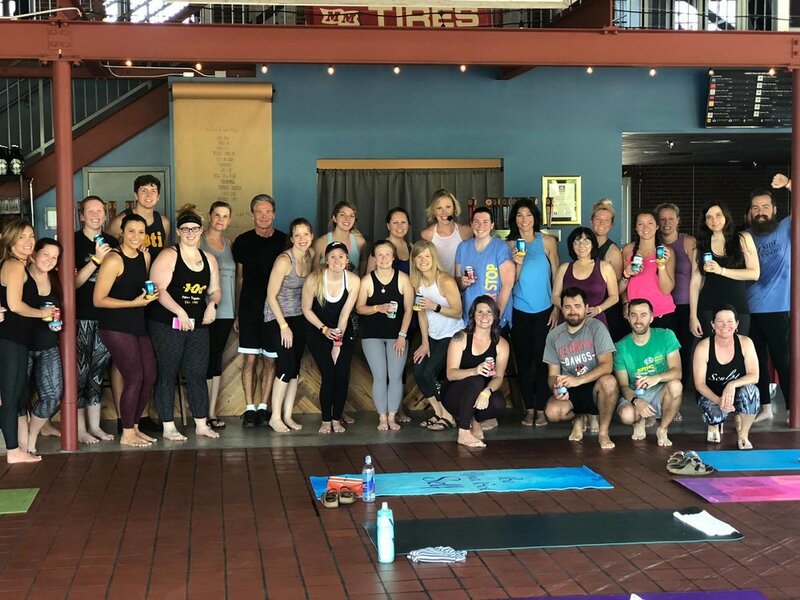 Thank you for attending Yoga + Beer on May 12th! It was an amazing start to the Summer Sweat Series and we can't wait to see you back for TABATA, PiYo, and Cardio Dance! 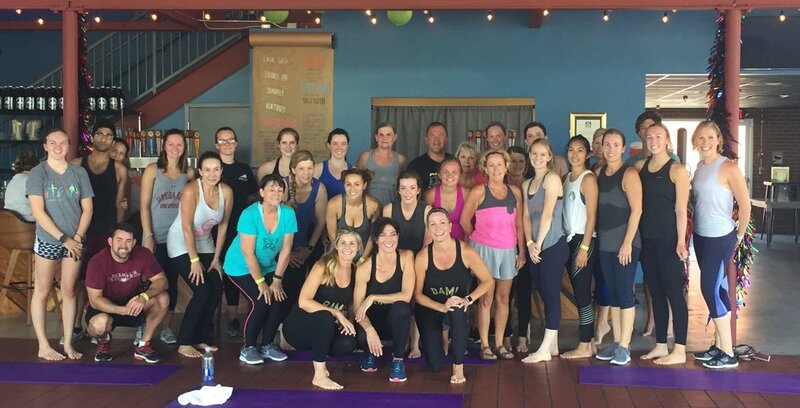 Thank you for attending TABATA + Beer on May 26th! We had a great workout, burned some serious calories and made a bunch of new friends! Hope to see everyone again for PiYo! and Cardio Dance in June! Thank you for attending PiYo + Beer on June 9th! So much energy, so much fun and so many smiling faces! Join us for Cardio Dance Fitness on June 23rd and keep the party going! Thank you for joining us for Cardio Dance Fitness on June 23rd! We came, we danced, we had a great time! So excited for Boot Camp on July 7th! Thank you for joining us for Boot Camp on July 7th! Mary Kate turned this team into Competitors! Come back on July 21st to stretch it out with Yoga! Round 2 of Yoga and Beer was a hit! These Sun Warriors chased the rain away and earned their beer! Come back on August 4th for Pound! Finding the best place to cool down after an amazing Pound workout! Join us back in the Tap Room August 18th for PiYo! These amazing ladies made PiYo! look so pretty on Saturday August 18th! Hopefully they will all be back for Fit Fest next Sunday, August 26th from 1:30-5:00 PM!